Group of Seven, Painted Land Documentary: Algoma’s Landscape. Past, Present, Onward. You are at:Home»Northern Voices»Group of Seven, Painted Land Documentary: Algoma’s Landscape. Past, Present, Onward. Northern Ontario- so unique from the rest of the province that it doesn’t even feel connected to their lower counterparts. Haunting lakes, dramatic cliffs and an untamed wilderness where tens upon tens of thousands of creatures great and small endure- they see us though we may not see them. 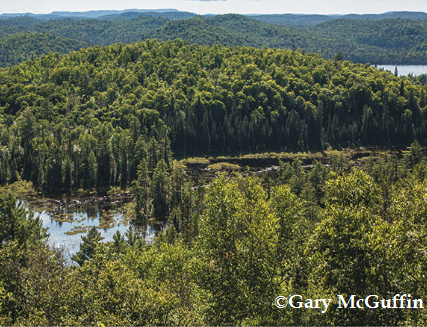 Such is the beauty of this place that one hundred years ago, Canada’s most revered and universally celebrated artists came together to capture the breathtaking vistas of the Algoma District. 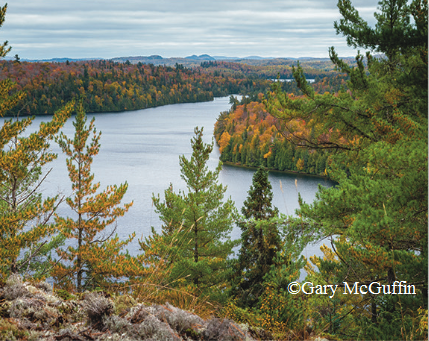 Eight years ago, outdoor adventurer couple and conservationists-Gary and Joanie McGuffin, and art historian-Michael Burtch, set out to retrace and map the Group of Seven’s paths across pristine lakes and the wild northern landscape –just for the love of it. 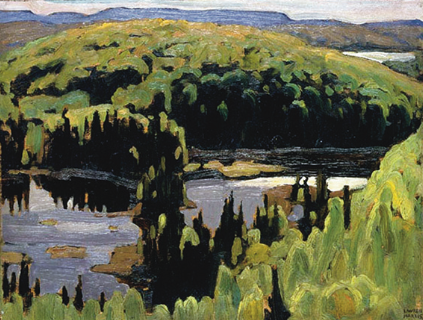 A tiny image of an oil painting rendered by J.E.H MacDonald, the size of a postage stamp and black and white, bore an important clue in its name- On Mongoose Lake. This thumbnail reference provided the trio with a starting point as they prepared to search for the Group’s precise painting sites in the Algoma District. There was little mention of Mongoose Lake other than it was written that the Group stayed in modest accommodation there. Knowing where the Group sheltered would make it much easier to retrace their path across systems of lakes and the rugged land. There was also talk among the locals that A.Y. Jackson’s October Morning was inspired by the dramatic panoramas and rich colours surrounding the lake. MacDonald’s hint and the musings of the locals appealed to their adventurous spirits and so they struck a plan to find the very place that Jackson sat when he painted October Morning. That weekend of August 2010 the adventure couple and art historian discovered four original painting sites in the Algoma District. 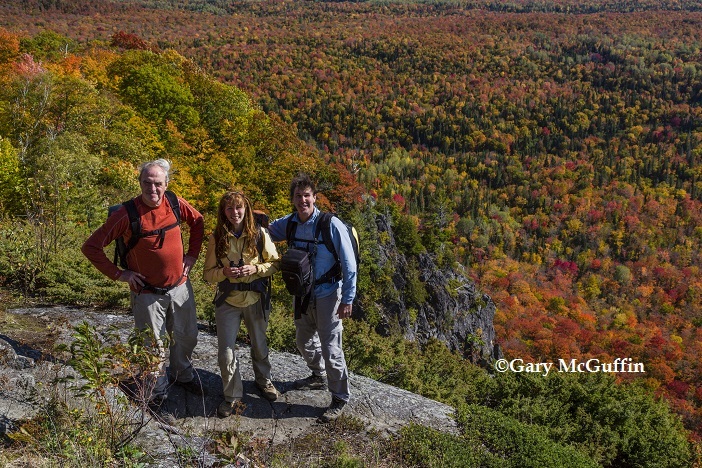 Since that trip into Algoma, these three modern day explorers have rediscovered over 450 original painting locations of the Group of Seven in Northern Ontario. Of that number, over 150 sites have been identified by the trio and photographed by Gary in the Algoma District alone -and so far. A few years ago serendipity connected the president of White Pine Pictures- Peter Raymont, with the trio. It didn’t take much convincing for Raymont to fall in love with the modern day adventure story that juxtaposed the romance of the Group of Seven’s renegade approach to landscape painting. An idea for the documentary, Painted Land, was pitched and sold to TVO, a Northern Ontario Heritage Fund grant came through and the rest is history. Directed by Phyllis Ellis -also a twice Gemini award recipient, producer and writer, Painted Land was filmed in the Algoma District over 3 separate shoots -21 days in total, between the fall of 2013 and spring/fall of 2014. 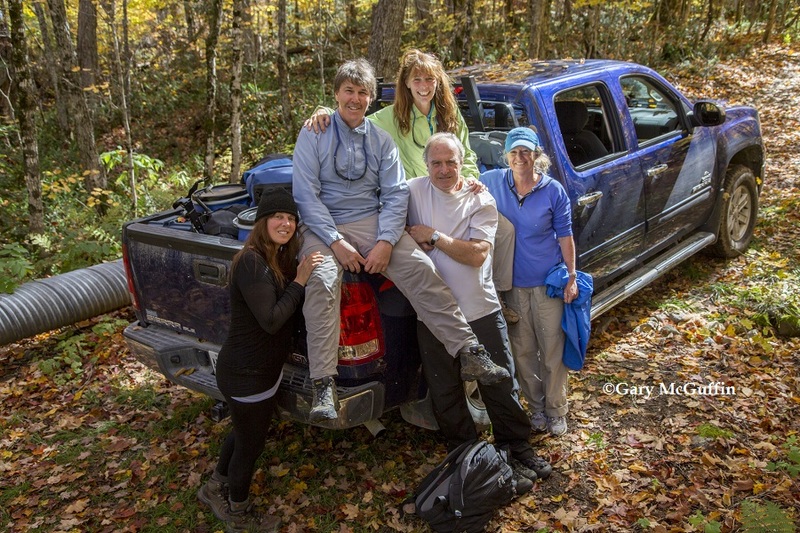 For cast and crew, the making of the documentary came with the unique challenge of having to bushwhack through dense forest, canoe –a first since summer camp for many, portage, hike and climb to the identified Group painting sites and all the while towing camera gear, generators and personal supplies –food, tents and various sundries. At the Canyon Station House in Agawa. 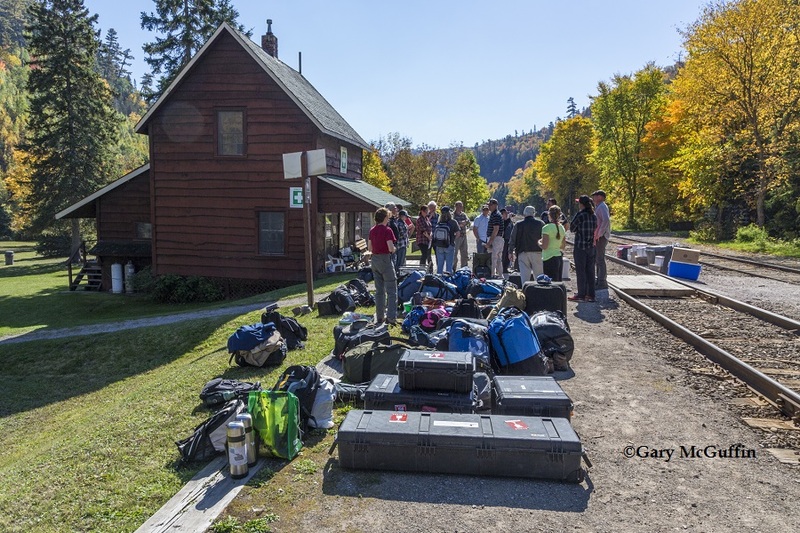 Crew with their gear await the passenger train. Original Group members were F.H. Varley, A.Y. Jackson, Franklin Carmichael, Lawren Harris, J.E.H. MacDonald, Arthur Lismer and Frank H. (Franz) Johnston. LeMoine FitzGerald, Edwin Holgate and A.J. Casson came into the Group to round out the membership when original members moved in different directions. Six members of the original Group painted war subjects during the First World War. A.Y. Jackson and F.H. Varley painted in Europe during WWI and Franz Johnston and Arthur Lismer painted on the home front. Lawren Harris enlisted in July 1916 and though he never went overseas he lost a brother in France. J.E.H MacDonald, who never received a war commission, struggled on 12 bucks per week as commercial contracts ebbed away and Franklin Carmichael, who was studying in Antwerp when war broke out, fled back to Canada. 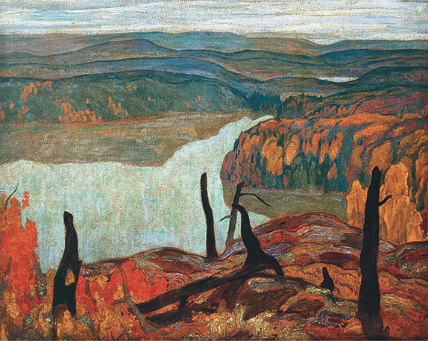 The Group coalesced as a group in 1918 – two years before their first formal exhibit as the Group of Seven in 1920, when several members attended the Algoma District with a benefactor- Dr. James McCallum, as well as accompanying equally renowned landscape painter, Tom Thompson, before his untimely death, into Algonquin Park. When these men arrived in the Algoma District they weren’t only seeking landscapes to paint but also healing. 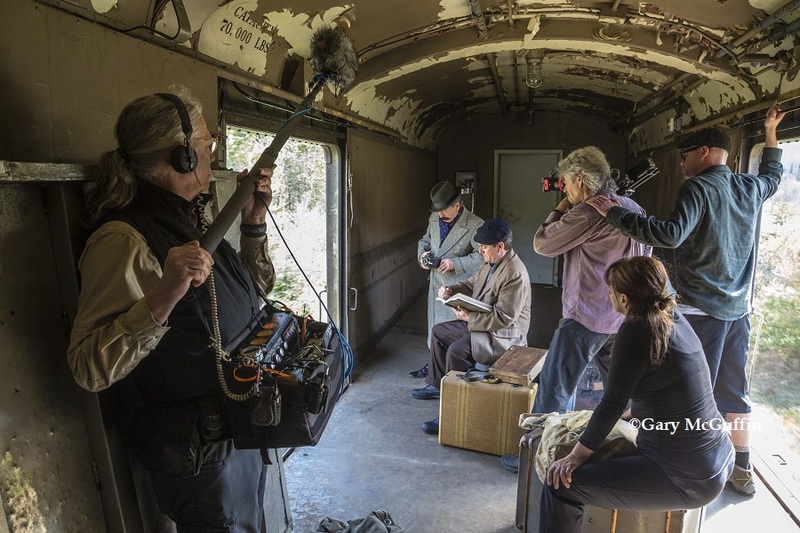 Phyllis Ellis directing reenactment scene in ACR boxcar from Painted Land. As a director, Phyllis was tasked with the difficult responsibility of sorting through a plethora of rich information that included the adventure experiences of the trio, archival information about the Group –their many letters penned in the heart of the Algoma district and sent home, press release, news clippings, endless books, and then to negotiate all of that with the overwhelming and breathtaking focal point of the documentary- the Northern landscape. With great affection Michael credits, as many do, the Group’s period-rebellious handling of the canvass, use of expressive colours and bold strokes in their compositions of the true North, as nation defining. In their careers, so motivated by personal convictions, both Michael and the McGuffins are dedicated in their pursuits to inspire the region to appreciate the masterpieces created by the Group while in the Algoma District, and to rejoice in the land that, for the most part, remains pristine and unchanged today. Painted Land is just that- a celebration of the Group’s artistry and our unique Algoma landscape. The documentary is an achingly gorgeous film complete with soaring music, personal narratives from the trio and the voices of the painters, preserved through their many writings. However, for many Northerners that may view the film, there are a couple of elephants on the screen –the loss of access into remote Northern locations and the industrialization of the landscape. The recent cessation of passenger rail service between Sault Ste. Marie and Wawa along the very rails that the Group travelled to reach the rugged North and indeed the point that the Group even financed boxcar accommodation along the Algoma Central Rail one hundred years ago, rubs a raw spot. It was in 2006 when the march of industrial wind turbines across the Algoma District began. Despite valiant efforts by concerned citizens to stop their progression there wasn’t enough time, money or ‘weight’ to thwart their establishment and destruction in the North. The Prince Township Wind Farm was completed with 126 wind turbines installed. 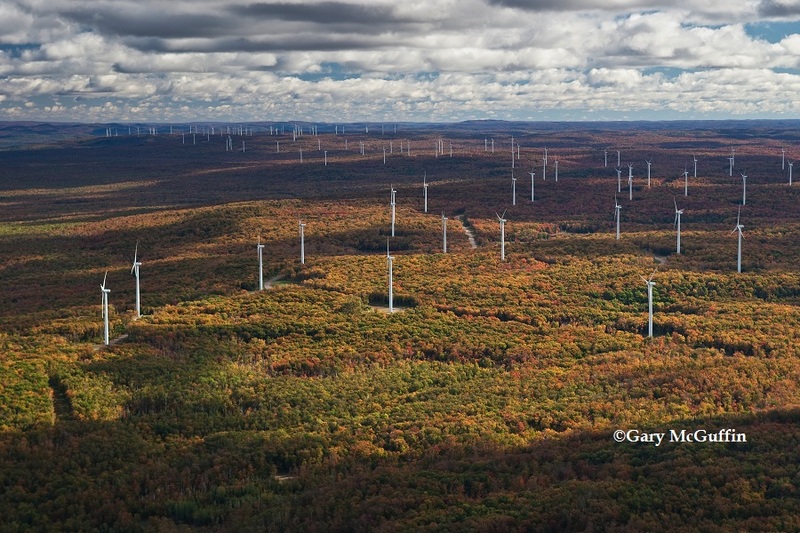 The Goulais wind farm hosts 11 turbines and the Bow Lake project has just completed the installation of 36 turbines. Prince Wind Farm, Prince Township. Visible as far away as Pancake Bay Provincial Park. In addition to the blight created upon the land, ample research suggests that wind turbines are merely a ‘symbol’ of renewable energy, with the cost to produce energy far exceeding the benefit to the grid, the economy and the environment. There are twenty-one additional sites throughout Northern Ontario that have been targeted for wind projects by the Ministry of Natural Resources. 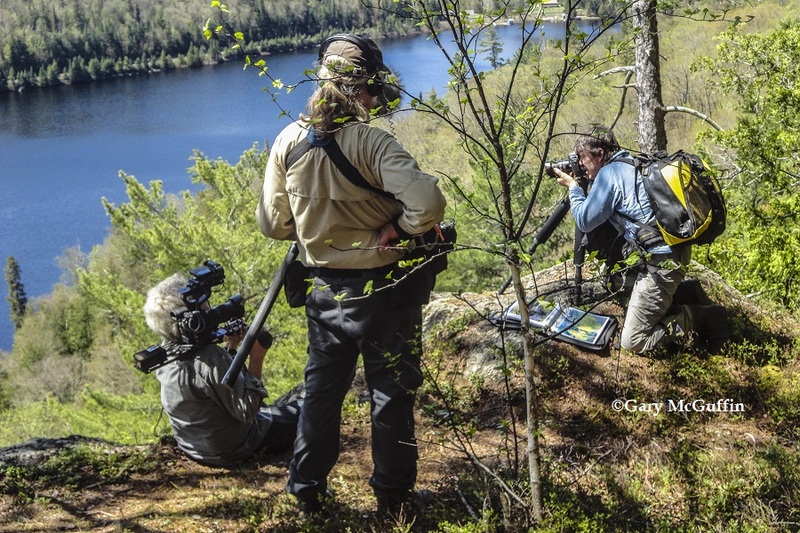 Videographer John Westheuser and Soundman Ao Loo shooting Gary McGuffin photographing the Algoma landscape. Gary had an unusual instinct, more at home in the bush, to recognize every fine feature upon the landscape. To Gary, each tree, every bend in the river and every dip in the horizon were unique and distinct onto nothing else. “What’s really important about this film is that we’ve brought discussions about Algoma into the present at least, and hopefully into the future,” offered Michael. An equally remarkable accompaniment to the Painted Land documentary is the McMichael Canadian Art Collection’s launch of the paintedland.ca website. “I love that site. It’s a wonderful teaching tool,” enthused Michael. The very first discovery of one of the original painting sites in Algonquin Park continues to have a profound effect on Michael. Painted Land, In Search of the Group of Seven will be featured two nights, October 2-3 during Sault Ste. Marie’s Algoma Fall Festival.